Today I’m happy to have Greg Mercer back on the show for the second time. If you’ve never heard of Greg, he’s the founder and owner of JungleScout. In addition, Greg makes a killing selling on Amazon. Last time I interviewed him, he was doing 400K per month. Who knows how much he makes now? Anyway, I’ve known the guy for quite a while now and he’s spoken at my conference, Sellers Summit, multiple times. One thing that always intrigues me about Greg is that he truly lives a nomadic lifestyle. Every time I chat with the guy, he’s in another country. Meanwhile while he’s traveling, he’s running multiple 7 or 8 figure businesses. So today, we’re going to figure out how he does it. Steve: You’re listening to the My Wife Quit Her Job Podcast, the place where I bring on successful bootstrapped business owners, and delve deeply into what strategies are working and what strategies are not with their businesses. Now today I’m thrilled to have Greg Mercer back on the show. Now we all know Greg as the founder of Jungle Scout, but most people don’t know that Greg is actually a digital nomad. He runs a multi-million dollar e-commerce business as well as a multi-million dollar software company, while traveling the world with no home base. And today we’re going to find out how he does it. But before we begin, I want to give a quick shout out to Privy who is a sponsor of the show. Now, Privy is the tool I use to build my email list for both my blog and my online store. Now what does Privy do? Well, Privy is an email list growth platform, and they manage all of my email capture forms, and in fact I use Privy hand in hand with all of my email marketing providers. There are other cool things that you can do too also. For example let’s say you offer free shipping for orders over 100 bucks, well you can tell Privy to flush a pop up when the customer has $90 in their shopping cart to urge them to insert one more item. So bottom line, Privy allows me to turn visitors into email subscribers, which I then feed to my email provider to close the sale. So head on over to Privy.com/Steve, and try it for free. And if you decide that you need some of the more advanced features, use coupon code MWQHJ For 15% off. Now I also want to give a quick shout out to Klaviyo who is also a sponsor of the show. Now, I’m always blessed to have Klaviyo as a sponsor because they are the email marketing platform that I use for my e-commerce store, and I actually depend on them for over 20% of my revenues. And right now with the holidays, they are close to 30% of my revenues. Now, Klaviyo is the only email platform out there that is specifically built for ecommerce stores, and here is why it is so powerful. Now Klaviyo is the most powerful email platform I’ve ever used, and you can actually try them for free at mywifequitherjob.com/K-L-A-V-I-Y-O, once again that’s mywifequitherjob.com/K-L-A-V-I-Y-O. Now on to the show. Steve: Welcome to the My Wife Quit her Job Podcast. Today I’m happy to have to have Greg Mercer back on the show. Never heard of Greg, he’s the founder and owner of Jungle Scout, and actually a bunch of other tools now including Fetcher, Splitly, Jump Send, and there maybe a couple other ones that I can even remember off the top of my head. In addition, Greg makes a killing selling on Amazon. I think last time I interviewed him; he was doing 400K per month. Who knows how much he makes now with his physical products. But anyways, I’ve known the guy for quite a while now, and he’s actually spoken at my conference the Sellers Summit multiple times. And one thing that’s always intrigued me about Greg is that he truly lives a nomadic lifestyle. And in fact, every time I chat with the guy, he seems to be in a different country. And meanwhile, while he’s traveling, he’s sitting there running his multiple seven or eight figure businesses. So today I thought we would kind of dabble a little deeper, and figure out exactly how he does it. And with that, welcome to the show Greg, how are you doing today man? Greg: Steve, I’m doing fantastic. I appreciate you having me back. It’s always a blast talking to you, and yeah this has been a fun topic. It is something I have never really talked about like on a podcast or live before, kind of like my nomadic lifestyle. I mean people kind of — some people know I’m a nomad, but like not really getting into the weeds of this topic. So this is going to be – it’s going to be a great episode. Steve: Just curious, where are you are right now? Greg: I am in Budapest in Hungary. Steve: Budapest, Hungary. Last time I talked to you I think you were in Canada, right, or Vancouver. And then you were in Spain, the last time also, another time, crazy. Greg: Yeah, I don’t remember, it’s something like that. Steve: So do you actually have a home base? Greg: I have no home Steve. I sold — at one point I had a home. This was like three years ago. I sold it, my wife and I we sold our house, all our stuff, our cars. So literally everything I own, all my material possessions fit inside a small backpack in a carry on rolling suitcase. Steve: That’s crazy. So your wife is like that too? Greg: Yeah, my wife’s like that too. I was a little bit scared when we got started with this lifestyle. So I don’t know if this is for her. She’s – or should I say pretty light. Greg: Lots of clothes and shoes and kind of things like that. So I was like, man I don’t know if she can really do this, but she loves it. She jumped right on, same thing she just carries our child with one carryon suitcase and stuff, and yeah she doesn’t want to quit. Steve: Cool man. Well, I don’t know too many physical product nomads. I know a lot of digital product nomads. So you’re definitely the minority, and I kind of want to know how you manage to pull it off, actually especially with your physical products. So I know you’re still selling on Amazon, right? Greg: Yes, exclusively on Amazon. Steve: And how many skews actually do you actually have at this point? Greg: I don’t have that many skews. I think it’s under 200, under 250 or so. Steve: Okay, so that’s still a good number of skews, right? Greg: Yeah, I mean it’s all relative. Steve: Yeah, so how do you manage to sell so many skews, and still be travelling around all over the place, like what is your process — let’s say you want to launch a new product, like what is your process without a home base? Greg: Yeah, good question. That’s one of the first of so great about like Amazon FBA, right? We’re shipping stuff to their warehouses. But I do have — I have like three people on my team that run my physical products company, so they can accept like samples. But to be completely honest with you, I’m actually most of the time not even getting samples anymore. Greg: Yeah like we have this one company in Hong Kong that will accept samples, and the nice thing about that is they can get on like the next day being shipped out from China. They just like with their cell phone just record like a quick video of it, of like three to five minutes of them putting it together like trying to like gauge quality and stuff. And then they throw it away, I don’t know what they do with it after that. So we’ve really actually, we’ve gone down to like never touching anything anymore. So you like they send us little videos of the sample, we never touch inventory because I get shipped from the factory straight to Amazon’s distribution centers. We just dispose of returns. Steve: It’s probably like a whole warehouse, yeah. Steve: Because I know you do oversize products too, right? Greg: Yeah, I do a lot of like big and oversized stuff now. So it probably would be like, I don’t know, a 2,000 square foot warehouse? I have no idea honestly. Steve: So how did you hook up with these Hong Kong people? Greg: It was a recommendation of a friend. They started off actually just as a kind of a sourcing agent for us. To be honest, they didn’t do that kind of a job and thus, so they don’t do that particular task force anymore. But like another kind of job that we just asked them if they’d be able to do would be like sample inspections and they said yes. So we’ve kept them on for that, and don’t really use them as a sourcing agent anymore. Steve: Can you talk about the sample inspection process, like how do you convey to them what you’re looking for? Greg: Yeah, a good question. We don’t necessarily actually convey what we’re looking for. They’re pretty good about just like any sample they receive. Let’s just pretend like they receive like a chair. They’re pretty good at like understanding like, okay this is a chair; these will probably the types of things that they’d be looking for. So they will try to assemble it, they will like note if they had any troubles like assembling it, or maybe like a screw didn’t line up right. Then they will like sit on it and stand on it and kind of jump on it, maybe like drop it from a couple of feet in the air. They do this online video, and they’re pretty good about being like, look at this like this edge. This edge didn’t come out of the mold very well, there’s a little like piece of plastic on it, or they’re inspecting it like a fabric. They’re pretty good at being like this feels relatively thick to us, things like that. We don’t necessarily say like, these are the 20 bullet points that we want you to look for in the sample inspection. Steve: Okay, so did you have to train these people, or is this like kind of what they do for a living? Greg: This isn’t what they do for a living. It’s a pretty like — not sketchy but kind of like Mom and Pop operation. This wasn’t exactly like an official thing that they do. We just asked them. Like I said, they were sourcing agents; we asked them to do this. And yeah it’s just this one young lady, like I said, she’s records everything on her cell phone, and that’s it. Steve: And so you had to establish trust with this person at some point, right? Steve: Okay, and did they take on new clients like with the listeners? Greg: I don’t think so. I don’t think they’re too interested in it. We only pay them I think like 30 bucks or something to do that. So I don’t think it’s a very good moneymaker for them. I don’t even think they have a website to be honest with you. I don’t even think I could send traffic somewhere if I wanted to. Steve: How did you find them in the first place? Greg: A recommendation of a friend. Greg: On top of the goal, just say real quick that that’s only like one part of it. I still I actually do quite a few inspections now during manufacturing process as well. So I’ll do one during the manufacturing process, I get a whole bunch of pictures and information from that, and then I’ll do a final inspection before I ship a container as well. So this sample inspection is only a small part of it, because like anyone can make one good sample anyways. That’s why I don’t really take sample inspections like really that seriously anymore. It’s more so like, okay what do you actually produce on the production line? Steve: What do you use for your inspections at the factory? Greg: I think what’s one of the other big ones? I think we started using this other one, V-Trust or something, is that one of the other big ones? Steve: There’s a whole bunch of them, like there’s like [inaudible 00:10:59], KRT Inspect yeah. Asia Inspection I think is like pretty cheap and a lot of people use them. Greg: Yeah they’re pretty inexpensive. Yeah I would recommend them for anyone listening to this. I don’t have anything bad to say about them, like the user interface on the website is also — I mean it’s like a little bit junky, but it’s fairly like convenient as far as like communicating through like messages, and they can also do all the other inspections. Like if you have like a baby product or you have whatever else like a lab testing, they can do all that as well, so yeah. Steve: So when you were — before you guys, before you had these guys, you were doing your inspections I would imagine, right? Steve: The sample inspections, sorry. Greg: Yeah sample inspections I was doing myself. I mean I could still do that, like I could still mail like one of the people who work for me could still receive samples, or I could still like mail samples to wherever I’m living at in the world, right? I mean what’s the difference between mailing a sample to Budapest versus the States? Steve: I guess so, I guess you just have to be familiar — or if it’s just a sample, I guess it’s not a problem. Steve: Okay, and then you get the inspections, and then you just send everything off to Amazon directly, right? Steve: What about when bad things happen, like can you talk about like a crisis situation that you’ve dealt with like while you’re traveling and kind of how you handled it? Greg: With bad products or just any type of crisis? Steve: Just any type of crisis, because I’m thinking to myself like we can leave for extended periods with our store, but sometimes like things come up that we just have to handle, like sometimes we’ll have to go back and handle it, or it just seems like I wouldn’t feel comfortable being away like all year round and just leaving this company running by itself. Greg: Yeah. I can’t really think of like — so of course we have bad things happen to our companies all the time, I mean it’s just like part of business. But I don’t know, maybe just because like I kind of had this mindset, I can’t really think of anything that would be like difficult, or that’s more difficult for me to handle since like traveling. I’ve never really been the type to want to like handle inventory anyway. I don’t want to unload containers like myself at any point anyway. So I mean I don’t know how that for sure would help, yeah I don’t know. Steve: Do you use any tools to just help you manage all these things as they go, to manage all your physical products and just figure out what the heck is going on at any given time? Like 200 skews is still quite a bit, right? Greg: Yeah, you’re talking about like inventory management? Steve: Inventory management, just people management. Greg: Yeah so I guess like as far as like how I communicate with my team, it’s like over Slack and Trello. Trello is like our project management tool. That’s where we like put in the things in there that need to be done. We manage like POs in there, and really everything is managed in there. You just kind of know like, hey Greg, we need you to pay this, or a question, or what do you think about this product or whatever. As far as like our inventory management, we use Forecastly [ph] for that. It works really well. Actually it has — they released like PO management inside there recently too, we need to switchover, tried using that inside Trello. But that’s about it really as far as like managing inventory goes, because we don’t do any FBM, fulfilled by merchant or anything like that. Steve: Okay, and then we were talking earlier about how you started focusing on like oversize products. Can you kind of talk a little about like what are some of the complicated things related to that? I guess it doesn’t really matter since you don’t touch anything, but just curious what your thoughts are. Greg: Yeah there’s still outsource some tips for the listeners though, like for example you have to be really careful with your shipping charges when you’re shipping these like big products. I saw some things that only like 300 or 400 units will fit in a 40 foot container. So it’s like those like pretty big products, you have to be careful that you’re really mindful of all the shipping charges. So it’s not necessarily — I think everyone has a good understanding of getting a container from the US to like the West Coast or whatever. But depending on what warehouses Amazon is shipping them to you have to be pretty – you can get kind of get screwed and get — if you’re shipping into LA, and then have to send like three DCs that are like pretty far away, accumulate like fairly substantial cost compared to if you’re sending the whole thing into Moreno Valley. But keep in mind for anyone listening that you can create the shipping plans like as far in advance as you want. I don’t know about any limit. So we will create them pretty early on. And also keep in mind, a little hack for everyone is like if you get a crappy shipping plan, you can delete it, you know delete the whole shipping plan. I’m not talking about like an individual DC, but delete the whole shipping plan, and try again in a couple days and see if you get a better one. So that is kind of a little bit of a hack that we actually use. We will like you know for like a whole month we might try to create like ten different shipping plans until we get one that we think is probably like the best one that we will get. Steve: Who do you use for your freight forwarding? Greg: Yeah they’re pretty good. I don’t think their rates are the best, but they do have like a really good platform, it’s really convenient. Once you’re set up in there, it’s like it’s not worth saving a little money to go with someone else for me. Steve: So what’s your process for like an oversize product? Obviously you’re not buying a full container right off the bat, right? Like how do you test it? Greg: Like if only 400 or 500 units in a container then yeah we definitely buy a whole container. We actually — we pretty much actually exclusively now order quantities based off how many fit in a container, so either 20 foot or 40 foot container. So that’s kind of like one of the first question we ask, how many fit in 20 foot container, how many fit a 40 foot container and then order inventory in those multiples. Steve: I see, even like that’s just like a test order, right? You just try one container? Greg: Okay, and so what do you do with this stuff like especially the oversize stuff that doesn’t move at all? Greg: I never really have this problem, like I have — well I mean like of course some stuff like sells better than others. But if stuff ever like not moving fast enough, we only really go after products that we think we can sell like quite a few like at least like 300 or 400 a month minimum, but usually we shouldn’t be surprised, we could be something like 800 or 1,000 a month. So if they’re not moving as fast as we want to, we’re pretty aggressive like with the giveaways, or like giving out coupons or spending more on PPC or lowering the price until it starts moving. And pretty much like our plan is like we’re either going to be selling at least like 500 units a month of these things, or we’re going to break even or lose a little bit of money and never order it again. We don’t have any skews that only sell like 50 units a month or something like that. We just would not let that happen. We do, do like keep dropping the prices until it starts moving really fast. Steve: Okay. Can you talk; can you be more specific about kind of like what your process is like for a launch then? So let’s say you’ve launched something, and within the first month like how many units would you expect to sell before you start doing anything? Or do you start with giveaways to begin with? Greg: We start with giveaways. So the launch process would be, we put the price at — so let’s say our goal for this price is sell for 50 bucks when we first put it up there. We’ll put the price like $50, but we’ll be giving away coupons for like I don’t know, we usually sell like 75% off. I would do that for the first like probably like two weeks, maybe giveaway like five or ten coupons a day. And of course we use Jump Send; I’m a little biased because it is our product. I think it’s the best. So we give away like five or ten coupons every day for like well say like two weeks, and then we kind of see where the product is at by then. Usually by the end of two weeks, we’ve gotten like a few reviews just from these people like buying at a discount, or you’ll probably get a few organic sales in there as well. At that point that’s usually when we turn on PPC. So like we kind of stop coupons at that point. We turn on PPC with a really aggressive bid. So we’re ranking like number one for off like our main terms, and we’ll also decrease the price. I think I said the target price of 50 bucks. So we’ll decrease the price to maybe like $35, $40. So it’s like a really good deal and we’re super aggressive on PPC. And at that point it usually continues to sell well without any more coupons because they’re probably like all the sales are probably mostly the sales from PPC, it’s a really good price, it’s price well below any other competitors, so that sales velocity keeps up. We can usually do that for like two, three, four weeks. At the end of that point we’re usually ranking well for our keywords and that’s when we just slowly start to climb the price back up to our target price, and at this point it’s been a couple months. We at least have 20, 30, 40 reviews by then, and then that’s it. So I mean we definitely lose money in the first month, second month, the goal is probably like to break even, and then I look at all these like a long term type game, right? So like month three maybe we only have like five or 10% margins. Hopefully by month four or by month five, we have 25, 30% margins. So in the beginning your PPC, like you don’t even care what the end cost is, you’re just trying to move units. Greg: That’s exactly right, because the biggest thing in Amazon’s ranking algorithm for keywords as far as in my opinion at least is sales velocity. That’s what we’re going after is just sales velocity. So that’s why we don’t really — as I said earlier, it’s not like I’m like just so amazing at choosing these products. I said earlier like we don’t really have products that just don’t move, we’re just really aggressive until they start moving well. Steve: So let me ask you this, given your strategy then, like could you just pick a pro — like it seems like you’re a little bit more haphazard probably isn’t the right word, but you’re probably willing to go into more competitive niches with this launch strategy? Greg: Not necessarily. So like we have a pretty like set criteria when we’re looking for these products, we’re looking for something that has really good demand, but it’s the lower end of competition for that amount of demand. So we definitely take a very data driven approach to what products we launch. And also say for anyone not kind of familiar with my Amazon strategy that I have no cohesive or like well put together product lines at all. Also a comb and a lamp and a chair and the bumper for your Ford and like whatever else, I have no like nice cohesive like brands. It’s all just totally random stuff; whatever the data tells me is going to do well. Steve: Okay, and then, so can you just kind of quantify those guidelines for people who haven’t heard them before? Greg: Yeah so of course I’m using Jungle Scout since I’m the founder of it, but this is — I’m looking for existing demand in a particular niche. So all like let’s say I’m going to sell — I’m not very creative. Right next to me is a stainless steel water bottle; we use that as an example. I’ll search for stainless steel water bottle, or maybe even just water bottle. And if I want to sell this product, I have to see that there’s existing strong demand across the niche. So when I search that, I run Jungle Scout, I look at how much demand there is for those particular products, and I want like at least 2,000 but preferably like 3,000 or 4,000 units of demand total throughout the niche. That just lets me know that there’s that many people searching on Amazon for this type of product and purchasing it. So that’s like the validation I need to know that there’s strong demand in this particular niche. And then the easiest way to gauge competition is the number of reviews. It’s not only the social proof that the number of reviews gives that tells you how competitive a niche is, but it’s also like the sales velocity and sales history of a particular listing which again in my opinion is a major ranking factor. So niches that have a lower amount of reviews or less competitive. So I just look for like in the top two results. I like to see like three or four sellers with maybe like under 50 reviews, and to me that would be like a good indicator that it’s not very competitive. So those are like basic demand and competition metrics that I use. Steve: Is that why you’ve kind of strayed to like oversize products, because it tends to be a lot less competitive in that area? Greg: Yeah the oversize products are definitely less competitive right now. Also we are doing like some more high dollar stuff, and again is little bit less competitive there just because it’s a higher barrier of entry. Steve: Okay and I’m just curious, like whenever I talk to you, it just seems so easy, you know what I’m saying? You’re like yeah, never had any problems with quality and what not. Greg: I’ve definitely had quality problems. Steve: Okay, how about this, so let’s talk about like a little bit of vendor negotiation here. So let’s say you go through your factory inspections, certainly you’ve had problems where like on the inspection line things haven’t gone so hot, right? Steve: So what is your next steps when that happens? Assuming you don’t even have a relationship really with this vendor yet. Greg: Yeah, so it’s definitely going to case by case basis. And I’ll just say like when you talk about like quality problems, I feel like probably like 70% of our inspection reports like fail based off like Asia Inspection standards. So definitely like lots of quality problems, but it’s really — then it’s like, okay let’s look at the reasons it failed, and they have like different grading scores, like oh it can only have seven minor defects or two major, one critical, whatever they are. So, this is why especially like on higher dollar orders, or like orders where I’m ordering a few containers at a time, I’m doing DUPRO inspections, during productions inspections. So I feel like early on, so maybe if they’re making me 1,000 units, this inspection is done when only like a 100 units are done — are completed. And the reason that these work really well, I’m a big fan of these now, and if you’re listening to this and you’re placing like smaller orders like a couple of a thousand bucks, and what I’m talking about here doesn’t make sense. But when you’re ordering like a $30,000 order, or a $40,000 order, like these bigger orders, then it’s like 200 bucks for inspection is a no brainer. But if you can get feedback after like the first 10% of units are done, then at that point it’s pretty easy to work with the factory, show them the inspection reports, like look, Asia Inspection said you failed this inspection, these are the reason. So like these threads don’t match up, this loose thread is supposed to be cut off, you’re leaving it hanging off or whatever. So at that point it’s like it’s fairly easy for them to fix those 10% of units and correct it afterwards. Steve: So basically you iron out these defects early on in the process. So where do you schedule your inspections, at what point in terms of the production? Greg: Like 10% or 20% would be a good – it’s like my preferred one for like the DUPRO inspection. And then all these bigger orders, I always do a final inspection, and that’s when the goods are finished, about to be loaded into the container. Steve: Okay, and then and then it’s just off to Amazon directly. Steve: Okay, have you ever had any problems with people hijacking you, taking your buy box, like you reporting them and then like it’s like playing whack a mole, because like every other day someone is hijacking you? Greg: Yeah of course like any Amazon seller who has a bunch of skews has this problem. But I feel like it’s not as like widespread as what like if you like in the Facebook groups would make you believe. I don’t know if I don’t have that problem as much because if you’re selling the silicon grill gloves in a plastic bag, it’s like very easy to like hijackers to say it’s the same product. But if you look at like my Jungle Snogs [ph] on Amazon, it’s like a very like customized box and there’s like changes to it, and that’s like representative of a lot of my products that have like this a little bit like nice or like very customized box, so it’s probably changed the actual product. So I think I’m very like less susceptible to hijackers because it’s like, well yeah I don’t have whatever the stainless steel water bottle that’s really that tall and skinny with that logo printed on the side of it, right? I do have people that like hop on my listings. I only have like one unit that probably you bought it with a discount, and then selling it, like something really bent out of shape of that, but it’s like whatever dude. It’s like one, they steal one sale from you, life goes on, I don’t lose any sleep or care about that. But I don’t have that many problems with people who like try to get on my listing with like 300 units in stock. Sure it’s happened to me like a handful of times, but it’s not a major issue by any means. Steve: So you have 200 screws right now, do you kind of just let those coast, meaning like it’s too hard to do micromanaging on all those skews? So once you’ve done your launch and you have your PPC, and sales are coming in, do you just kind of let it ride at that point for the most part? Greg: Yeah for the most part. Yeah I mean they take a little bit of management or kind of optimization, or like if we sold 700 units last month, but this month we only sold like 250, then it’s like we need to go in here and figure out what the heck is going on. But there’s not much like ongoing work once you’ve set up like a great listing that’s doing well that has solid reviews and all that kind of stuff. It’s like one of the beauties about FBA. Steve: Are you are using enhanced brand content at all? Greg: Yeah for sure. So we do that on all of our listings. Steve: On all of your listings okay. And for the ones that aren’t converting that well, what are some things that you look for or how do you do your analysis? Steve: I guess when you find something that isn’t covering that well, like what are your first steps? 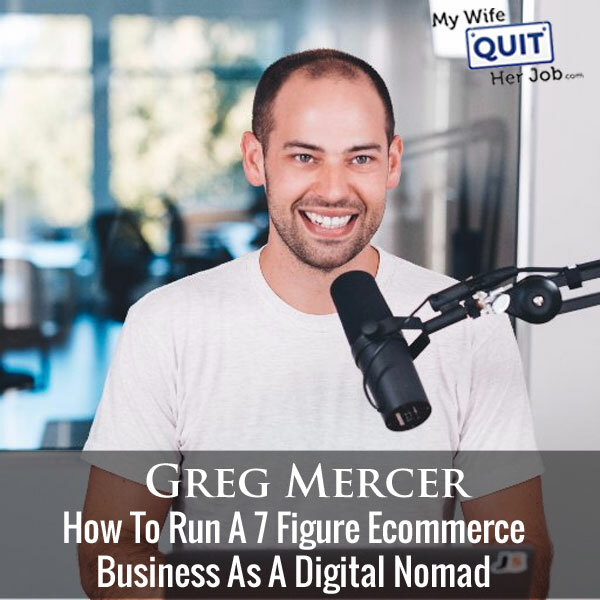 Greg: I’d probably look — my first steps would be to look at the competition and just try like think from a neutral buyer, why aren’t they buying my product as opposed to the competition? Does it seem like a price sensitive crowd? Do my competitors just have much better reviews? Do they have much better listings as far as images and that kind of stuff goes? So probably step one is just to look at the competition and just — it’s always like so hard to know for sure. But I feel like I’m pretty good at guessing like, okay if I search right now standing desk light or whatever, it’s like, okay understand why these top few are the best sellers, it’s like they have the best price, get great reviews, is the nice listing. Yeah the majority — and then of course one part of it might just be like poor ranking for your main keywords. And if that’s the case, then you have other problems besides listing optimizations. Steve: So how do you boost the rankings for your main keywords? Do you do anything special? Greg: Increased sales velocity. And so we might give away more coupons, we might get more aggressive like on our PPC bids even if we’re losing money on the ACOS. Steve: Okay, so you do it kind of — you don’t get any tricks or grey hat tactics too? Greg: No, I’ve kind of like experimented with some of that stuff, it’s like kind of fun to do. But I don’t — I think it’s like a waste, mostly that’s a waste of time versus like little like you have to join this webinar to know this special hack. I joined it, it’s like I tried this crap doesn’t work. Steve: What about promotions, do you do like buy one get one free or quantity discounts on some of your listings to help them move, or do you just typically issue coupons Jump Send? Greg: So for my initial promotion it’s just Jump Send, but if you went on a bunch of my listings right now, you would see that like if you buy two, you get a 10% discount, or like little things like that, or buy these two together if I do have two like products that go together nicely, and get 10% discount. So I do, do some stuff like that to try to increase sales velocity. Steve: I’m just curious like as you are split testing your listings, which aspects of a listing actually have the greatest effect on conversions? Greg: Price and — the two things that will make the biggest difference on split testing your listing is the price and the main image. Bullet points and description are pretty much a waste of time as far as I’m concerned. The title can help a little bit, but it’s mostly your main image to get people onto your listings, that’s like some more increased sessions. Most sellers on Amazon depending on what niche you’re selling in are fairly price sensitive, so price helps a lot. And then after that if you’re like your sessions are good, your price is really competitive, but it’s still converting poorly, that’s when I’d usually try to make the rest of my images better with those things I was talking about like competitive matrix, really nice lifestyle images. Also like most of our images now will call out the features that are like our unique selling proposition on the actual images. So you know like if it’s a little bit bigger or taller or it has this improvement that the other listing doesn’t, we’ll have like a little — the text on the image that kind of points to that and like really calls that stuff out. That type of stuff seems to work well. I don’t think many people actually read like description. So whatever you want the customer to know, put that on your images. Steve: So given that you just said that, would you say that enhanced brand content is like last priority then? Greg: I don’t — it’s so hard to know, right? Like we did some testing with some of these enhanced brand content, and it seemed like some listing — I see different numbers floating around there. But like in our actual experience, it seems like some listings it does help conversion rate a little bit than others. It didn’t seem to matter. I doubt that it ever hurt though. And our thing is like we usually have quite a few images from the photographer, like from our initial photos. So it’s like at that point it’s fairly easy to put some extras in enhanced brand content. I also always I’m worried that Amazon is going to start charging for enhanced brand content, and I feel like if you already have it, then it’ll probably be grandfathered in. So we pretty much always immediately like go ahead and at least like throw up a few images for the enhanced brand content. Steve: Okay, yeah I guess that make — I mean if you have the resources and the wherewithal to do it, you can just do it right away, right? Greg: Yeah in my opinion. Steve: Okay, let’s switch gears a little bit. Let’s talk – we kind of strayed from this whole nomad thing. Steve: But what people don’t realize is that you’re running these physical products and you’re running this pretty big software company as well. And so, how do you kind of split your time between the two, and how do you manage a team while you’re just all over the place? Greg: Yeah, good question. So I spend the vast majority of my time on the software business. So I would I spend a maximum of three or four hours a week on my physical products company. I have a really good manager over there. I really like empowered him to like take action and use his best judgment, and he’s done a really good job with that. So not that I don’t have good managers on the software stuff too, but I guess the software stuff just like excites me a little bit more. It’s a little bit more fun for me, probably just maybe because I have been doing this long, or I don’t know. So yeah the software side of things, it’s grown to I think probably like 35 people on the team now or so. Since the inception, it’s been a remote company. So like kind of all of our communication and project management and all this kind of stuff has been built from the ground up to be a remote company. I feel like that’s like kind of one of our keys to success. And even — it even goes as far as like our hiring and our recruitment, we look for like specific traits in people that we think will like thrive in a remote environment, whereas other people are only better like in going to work and kind of like held accountable in that kind of. So all the project management is in the cloud, we use all like the Google tools as far as like sheets and whatever. Steve: So there is no physical office, right? Like even for people who are all just happen to be in the same area, you don’t have an office rented for them that they go in, right? Everyone works from home? Greg: So we actually just like three months ago rented an office in Vancouver because we had like ten people that live in Vancouver. So we ended up getting a little office there. But other than that everyone, just about everyone works from co-working spaces though, which I’m a huge fan of as opposed to working from home. So we reimburse everyone for their co-working spaces, and not many people work from home, almost everyone works from co-working spaces. Steve: Can you kind of comment since you do both software and physical products, like if you were to start all over again and you just wanted to just make some money to maybe quit your job or whatever, which route would you take? What are like kind of like the pros and cons of each? Greg: Yeah that’s a good question. So if I was trying to make kind of let’s say like replace my real job income, let’s say like 5K a month, maybe 8K a month or something like that, I would probably actually go with the physical products business. And I would start — of course I’m a fun of selling on Amazon. So I would kind of start there. I’ve been very fortunate with the software stuff; I’ve had really good timing. I had a product that had good product market fit, and I kind of took a lot of that for granted in the earlier days until I got more involved with other kind of people who were just like in the software type communities. And I mean there’s a reason that like in VC funding, and rarely see around stuff are so prevalent in like the software space, because it’s very rare for like a company like Jungle Scout to start off like bootstrapped without much self funding and be able to make it. That’s a pretty rare story kind of like in the space, especially if you don’t have a programming background, just because hiring developers is so costly. So if you were a developer, then maybe I’d say you could think about bootstrapping a product, and you could definitely — it’s definitely achievable to get to the 5K or 10K a month mark. But if you’re not a – especially if you’re not a developer, I’d definitely go with the physical products throughout. Steve: I just want to take a moment to tell you about a free resource that I offer on my website that you may not be aware of. If you are interested in starting your own online store, I put together a comprehensive six day mini course on how to get started in e-commerce that you should all check out. It contains both video and text based tutorials that go over the entire process of finding products to sell, all the way to getting your first sales online. It just seems like for most people who aren’t developers they think that physical products might have like much higher initial outlay than like a software. I’m sorry if you are a developer, it seems like there’s a lot more money involved in starting a physical products business as opposed to a software business, but it seems like it’s the opposite? Greg: Yeah, I would almost argue the opposite. But most of your big cost in the early days for a software company is going to be your development costs. So if you’re a programmer or you’re doing it yourself, then you’d have that argument. Steve: Okay and then so for like a physical products business, like realistically how much can you start with, in your opinion, like how much you need? Greg: If you’re trying to do the private label thing, it’s pretty tough to do with less than like two or $3,000 getting started. If you have $5,000, it’s fairly easy. If you have like 10K or more, than I’d say like you can get started and grow a decent size company like relatively quickly. So I’d say those to be like some rough guidelines, but of course there’s lots of outliers out there. People are puzzled with their first hundred bucks and now are doing really well and stuff like that. Steve: What are your views on like the drop shipping models that you’re seeing? Every time I go to my Facebook feed, I see all these different business models, and I’m just kind of curious what your take is on all the different ones out there. Greg: Good question, because I see these things all the time too, and I’m intrigued by it because it seems so like popular right now. Even like when I do like a Facebook live, it never fails that anyone says like, what you think about drop shipping. And I may not be like very educated about how people are doing it nowadays. I always think that more like I’ll call it traditional drop shipping of maybe like ten years ago where you have — you establish relationships with social wholesalers that are willing to drop ship these items for you. You’re just in charge of selling the product at your e-commerce site. I haven’t really heard of many people that are like very successful with that particular model today. But I think — I mean do you know much about like what else people are doing today. It’s almost what you’re saying now, there’s like what I’m going to call like less legitimate businesses, like you sell a product on eBay, and people would do it off Amazon Prime, and send it to that person, right? But that’s not like a legitimate like long term business, that’s like just like a little hack until your prime account gets shut down. Steve: Yeah, I was just curious; I mean I answer these questions every day actually. Greg: Are there people like doing like a good job with the like what’s called modern or new drop shipping models? Steve: Well, it’s always an uphill battle, right? You might have something that works, but then like a couple of months later it goes away. So it’s not really like a sustainable type of business in my opinion. I was just curious what your take was since you’re kind of more in tune with the people that are doing these various things on Amazon. Okay let’s go back to the nomad thing. And so how soon can you actually become a nomad? Do you think like when someone is starting out, like what do you recommend people starting out, like if they want your lifestyle Greg with Amazon? Obviously you don’t recommend that they ship everything straight there on their first try, do you? Or like what’s like the kind of gradual steps to build up to your lifestyle? Greg: Yeah, good question. Let me start by telling you and I keep saying [inaudible 00:45:03]. All right so first real quick as far as like the Nomad type lifestyle goes, like Southeast Asia is like super high like very nomadic type people, like in Shanghai or different cities in Bali and like that area. It’s like a really high quality of life for very inexpensive. It’s like if you’re living in like a US city right now especially on the west coast, you’ll be amazed like that year, your cost of life has decreased by 80% if you move to like one of those countries. So you can get started at it without much money. You just need to be mindful or kind of like I guess how much runway is in your bank account, about how quick you need to be making money. I took a little bit more like conservative approach, where I guess I like replaced my income. And then before I quit my job, before I sold my stuff, before I started becoming a nomad, but like looking back I actually wish I would have done it earlier just because like what I know now, it’s like I wish I was just focused on this way earlier. I guess I was just like scared of it at the time. But I think your question was what are the steps to move up to that? I think it would scare most people to just order a thousand units from China and have it shipped straight to China. So it’s like you’ll probably want to ship it to your house so you can like look and feel and hold these products that you just spent like your hard earned money on before you ship it into Amazon. That’s fine until you understand that. Steve: For 1,000 units, do you recommend getting an inspection? Greg: It will depend on the cost of the whole order to me. If it’s under like 2,000 bucks, then I probably, I wouldn’t do an inspection. You could — actually for my first like two years, I never did a single inspection. Steve: Yeah, same here man, same here. Greg: And I don’t have very many horror stories, like fingers crossed. So it’s definitely not required, but one thing I always did do is I made my sales rep take a whole bunch of pictures and videos just with their cell phone for me. And I actually had this written into the contract. So I’d be like, you have to take a picture on the assembly line, you have to take a picture of one of the first like the first carton being loaded up, and you have to take a picture before you close the doors of like the container and stuff like that. So that’s kind of like a poor man’s inspection, right? Of course it’s going to be a little bit biased because the sales rep like choose which pictures to take, but it does help you spot like some issues. Like wait a second, this is mostly white; you just paint it red, like that would jump out in like this type of a poor man’s inspection. Steve: Yeah that makes sense. We kind of did that too, but the problem is our stuff was fabric, and there was always fabric qualities that we had problems with, like not necessarily the design. Okay, that’s a good tip actually, so poor man’s inspection, first couple of units, ship it to your house, and then manually ship it over to Amazon for your first couple of units. Do you recommend like if you have a tight budget, how would your launch change, launch strategy change? Would you still kind of do the giveaways and then the heavy on PPC and lose money, do you feel like that’s a requirement? Greg: Not necessarily, but if my goal — if you’re listening to this right now, it’s like, all right Greg, like I have a job, I want to quit my job and start traveling like what you’re doing. I would actually probably go into like a lesser competitive niche and just understanding that like I’m probably going to sell like a 100 units a month. But it’s like, all right, well a 100 units a month, if you’re making five bucks profit on each one, $500 profit a month, like you’re well on your way to — that’s like a great start to like getting to your goal. The nice thing about those lesser competitive niches it’s like once you have like five reviews, and you did like you gave away like 20 units or whatever, don’t spend too much on PPC, then it’s a much more cost effective way to get started, because if you’re brand new, you only have a few thousand dollars to spend, it’s probably a little bit gut wrenching to like lose a thousand bucks the first month in PPC overspend, right? Steve: Yeah totally. So in terms of like a less competitive niche, are you talking like a couple of hundred – like it sells maybe like a 1,000 units across the whole niche per month? Greg: Yeah probably like 1,000 units and then like in that top ten. Like one dude has 100 reviews, the rest have like 20, 30, 40, and there’s a few guys in there with a handful of reviews that are still doing well. Steve: Okay, so basically you’re advising them to just kind of get their feet wet, and just make a couple sales, get used to the process, and then gradually build up from there. Greg: I think so. I think you are willing to learn. You learn so much more from that than like any course or any You Tube video or anything else. So I think it’s a great way to start. Steve: Cool man. Hey Greg, I didn’t realize this, but we’ve actually been chatting for quite a while. And we jumped all over the place, I apologize for that. We were supposed to focus on your nomadic lifestyle. Greg: I don’t know who will need this episode. Steve: I don’t know either man. The thing is you made it sound so easy, like I was expecting all these like stories of like trouble and hardship as you’re doing this. Greg: I can tell some of those as soon as you want. It’s not all just rose and butterflies. Steve: But I mean you’re always like so easy going. I don’t think I’ve ever seen you pissed off or stressed at all. Like you were speaking doing hand stands at my conference. Greg: Life is so sure enough to do and have some fun. Steve: But yeah, I think like everything that we talked about today should in fact help someone who’s thinking about getting into this Amazon situation, and maybe eventually adopting this nomad lifestyle. So thanks for coming on man, always appreciate you hamming on, and I will see you next year in May. Greg: It sounds fantastic. Thanks and take good care. Steve: Yeah dude. Bye man thanks. Hope you enjoyed that episode. To be honest with you, I really don’t know how Greg does it. I mean the guy works hard, but it seems like he’s also perpetually on vacation at the same time. But his lifestyle does prove that you can run an e-commerce business from anywhere without having to deal with inventory. For more information about this episode, go to mywifequitherjob.com/episode188. Now I also want to thank Privy.com for sponsoring this episode as well. Privy is the email capture provider that I personally use to turn visitors into email subscribers. They offer email capture, exit intent, and site targeting tools to make it super simple as well. And I like Privy because it’s so powerful and you can basically trigger custom pop ups for any primer that is closely tied to your e-commerce store. If you want to give it a try, it is free. So head on over to Privy.com/Steve, once again that’s P-R-I-V-Y.com/Steve. Great interview with lots of good tips in there. I was wondering how Greg handles photographing his products. Is a sample sent to somebody in China? He specifically mentioned using lifestyle shots. How and where does he manage this? Does Greg create his own listings or does somebody do that for him? If somebody does that for him, how does he handle this? Do they have access to his seller account? For that matter, for any of the tasks he outsources, does anybody need access to his seller account? I thought of more questions if Greg is available to answer! I was wondering about his accommodations when he is traveling. Does he stay in hotels? If so, how does he access secure internet? I’ve heard that it’s dicey to sign into your seller account in a hotel room due to security issues and if there has been somebody at that IP address signing into another account, there may be issues with Amazon. I was also curious about how long he generally stays in a place before moving on. It probably varies but I was wondering if he has any overall plan, say like Chris Guilbault, who wants to visit every country in the world. I am very interested to Klaviyo.com. I will definitely try this out. Thanks for sharing this article. This is very helpful.